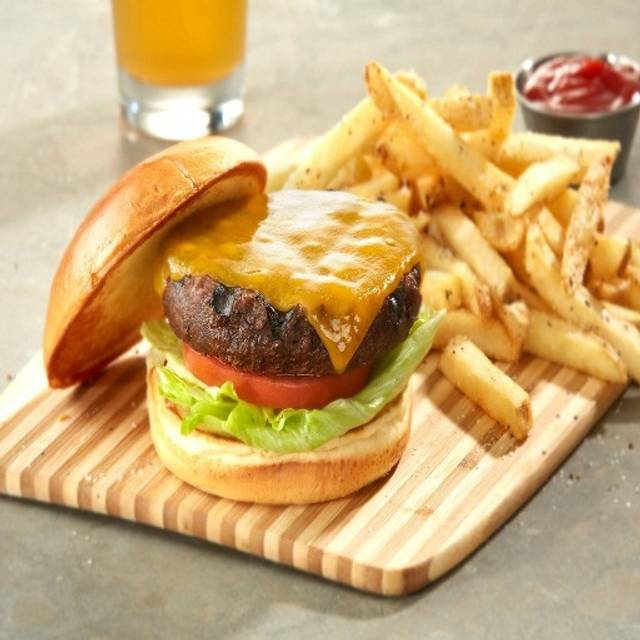 You must make reservations at least 5 minutes in advance of the time at Gordon Biersch Brewery Restaurant - Honolulu. Enjoyed the evening band, great service, great variety of beer, beautiful harbor views, in & outdoor seating and tasty plates! 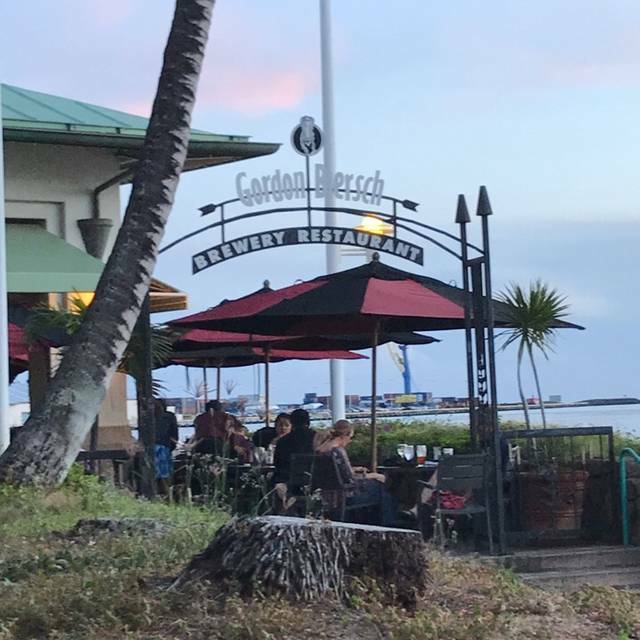 My family loved going to Aloha Tower's Gordon Biersch when we lived on Oahu 1998-2000. Friends had told us it was closed so we were thrilled to see it open when we returned this year. The food is no longer good. Our Ahi salad (1 out of 5) had wet, soggy lettuce and Ahi. Poke,Buffalo wings and burger a 3 out of 5. We asked for a pretzel with no sausage and got 3 skewers of sausage anyway. The restaurant used to be solid and consistent. A sad decline. Great food, fast service and reasonable prices. Not much view because of large cargo ship but a bit of the ocean was seen. Over all we would frequent it again!! You can't beat this location situated in the Aloha Tower. Beautiful weather and views of the harbor enhance the great food and service. Restaurant had no record of my reservation. I showed the manager my confirmation and she still couldnt find it. Food was not the greatest, will probably not go back. Food is always good there. Asked for rice instead of the pasta in the pasta dish and was no problem. The sun changed positions and it was no ptoblem changing tables. Friendly service....great view....wonderful food. What else would one want. Wed night is jazz night being performed by rotating professional instrument players, no cover charge. Beer of course, seasonal and the expected styles fresh and yummy. Got the brewers steak, so flavorful, lightly charred and juicy, didn't need any sauces. Beautiful outdoor covered seating and bar area. Dependable place overall. Our server Michael was amazing! He made our whole experience. He was attentive and very friendly with out being "too much". The food was very tasty the drinks were very good and well priced. We had a table on the lani with a great view of the water and a nice breeze. Overall a good experience. Waited for salad to come then it came with our dinner! Stated to server about it should have come before dinner & was told however it comes out!!! Good new menu. Very delicious. Great seared tuna. If you want a hearty, tasty plate that doesn't pile on the calories, you have the option at this place. Great Sunday night, not too crowded, the two of us enjoying dinner overlooking thr quiet bay. Very friendly and professional staff. Everyone in our party loved their food. I didn’t eat all of mine and the GM asked why in which I told him it wasn’t what I expected and he comped that particular dish. He asked if there was something that I would like instead and he had the chef make it for me. He didn’t have to do that but he went out of his way and it was very appreciated. 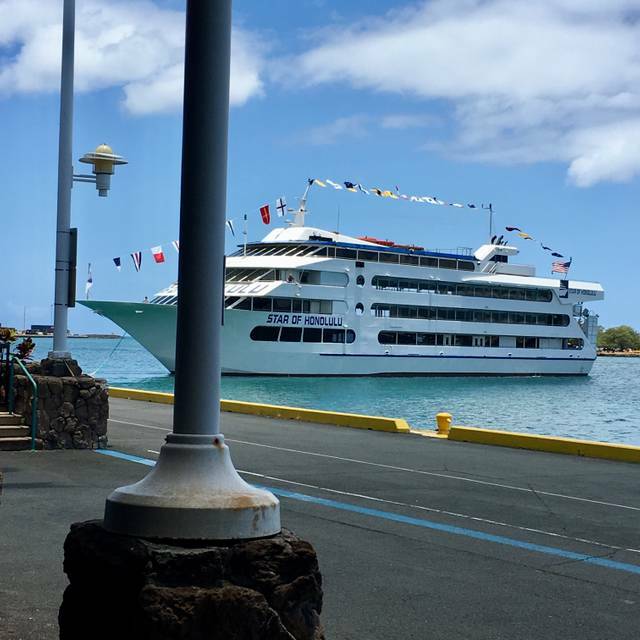 Good food and a nice view of Honolulu harbor as you dine. Nice sunsets too. Whenever in Honolulu, we stop if for a fresh beer, a scenic view, and a delicious pupu at Gordon Biersch. A great place to gather. Wed, Fri & Saturdays have live music. 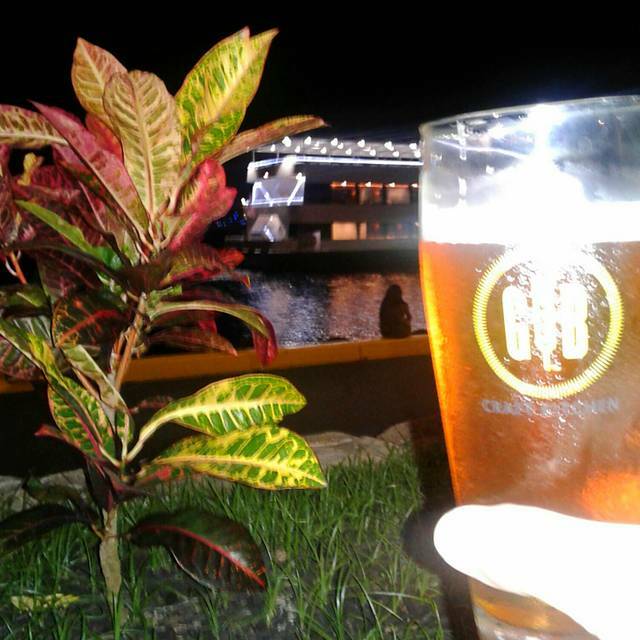 Beautiful harbor views, rotating seasonal beer brewed on site and tasty dishes. The service which I received on my last visit (lunch) was disappointing, but I would still recommend the restaurant due to its ambiance, good food, location, and atmosphere. At my last visit, we were charged the wrong prices for the entrees, and a note about celebrating a birthday was completely ignored. Otherwise, it was a wonderful lunch. This was not what I expected at all. The waterside seating had terrible light and there really isn't a view. Table was perfect. I asked for inside yet close to the stage. However no wait help came to take our order. I had to stop one and ask. She ended up taking our table even though she has the outside tables. My drink was WAY OVER PRICED. Apple crown with cranberry was $12.00!!!!! Are you kidding me?!! I swear we did not pay those prices before. Food was good, fish tacos, garlic fries, flatbread pizza. Music great! Yes I will go back again but not pay that price for my drinks again! Perfect place for a relaxing evening with great food, great beer and great entertainment! The location of the restaurant is nice - right by the water. However, the area is now a university campus and was very desolate during the dinner hour. We were seated by the bar area and the wait person was not attentive at all. Took a while to get service and our food. Food was mediocre. This used to be a favorite dining spot whenever we visit Oahu - not any more. I find it very strange that this restaurant does not allow patrons to sample wines. This is the first tine I've been told by a server that they do not allow patrons to sample a wine when choosing one to accompany their meal. Shrimp and lobster tacos were great, but the Kobe Burger was a little dry. Overall good place to go for a dinner and a beer and highly recommend the Bavarian Pretzel! Great service, ambience , and super food and value!!!!!!!!!!!! The view was amazing and the food was wonderful. Our waitress was very nice and checked on us regularly. The live music was very loud, even in the dining room. Seating was prompt. Waitress was friendly. New menu had a good variety. Food came quickly and was nicely plated. Waitress checked on us a few times during our meal. Overall a pleasant evening. Loved the Ahi nachos. Never had any bad food or service. My family and I with our friends enjoyed the food and the atmosphere! Service was on the slow side to start but picked up after. Reserved a table for 8 at 7:15pm on a Thurs...daughter’s college grad ceremony was held in the same area (Aloha Tower Marketplace), thought it would be packed but it really wasn’t. We really had no wait time to be seated - but that’s about the only good thing I can say about our experience at Gordon Biersch. Took a little while to get our drinks, but it took over an hour to get our food! Food for 4 of us was not hot, so obviously it sat in the kitchen awhile! Husband’s fish tacos were cold - he didn’t send them back because he didn’t want to wait another hour to eat! One person in our party was told that the dish she ordered was actually not available - the server told her this as everyone else’s food was (Finally) coming to the table! Then she had to wait even longer for her dinner! This was absolutely the worst dining experience we’ve had in a very long time!! Will NOT be recommending this place ever! My husband overheard a manager and another employee casually talking about transferring to other Gordon Biersch restaurants... Not even trying to be discreet. They should be focused on the place they currently work at! Except for the server, no one came over to apologize for the long wait for food delivery! The basic necessities of any dining experience were overlooked! We had to ask and remind our server for napkins and eating utensils. The food was good but it would have been better had it not been lukewarm. We ordered the sampler beer flight and never received them! The only positive was the live band and the location. Usually this place has good servers. Maybe our waitress was new. We were missing our salad order. When we tried to select a bottle of wine, we received confusing messages. Later, the manager came by to apologize and help us. This was nice and we had always gotten that type of service. However, a workshift changed to another supervisor and she was not as good. Hopefully, they can improve their training.